← Spring on my mind. Will it truly visit? Streit’s is my new favorite. I have probably written about this before, so please forgive me. There are times when I just cannot believe how scatterbrained my mind is and how much I have forgotten and am forgetting on a daily basis. That is a subject for another post. Passover Egg Matzoh is a favorite of mine. My uncle Herman (Winick) is responsible for that. Way back when, as we were celebrating Easter, he would go to Heinen’s or some other Cleveland store and pick up Egg Matzoh and bring it to the family. We would dole it out. I lived in Parma, on the southwest side of Cleveland although I was originally an east sider. Matzoh was not a staple in our grocery stores. It was on the east side and the eastern suburbs. Easter was a time when I looked forward to Passover Egg Matzoh. I loved it with a nice thick layer of butter. I have passed this love on to our sons and to their children. Uncle Herman was nothing short of a character and someone who although somewhat distant from me (as were pretty much all of my uncles), offered me some good advice every now and then. During WWII, he had stayed at the George V in Paris and thus I made sure to pass by this hotel and take a photo for him. I remember the time when this man, supposedly the first person to see me when I was born (don’t ask me how this came about because I don’t know), gave me advice about drinks in bars and how you never let go of a drink. If by some chance you did, it was to be ditched. As it turns out, one of his other nephews had a really bad experience with a drink. I never forgot that advice. I am guessing that Uncle Herman had no idea that he was giving me something that would last a lifetime. 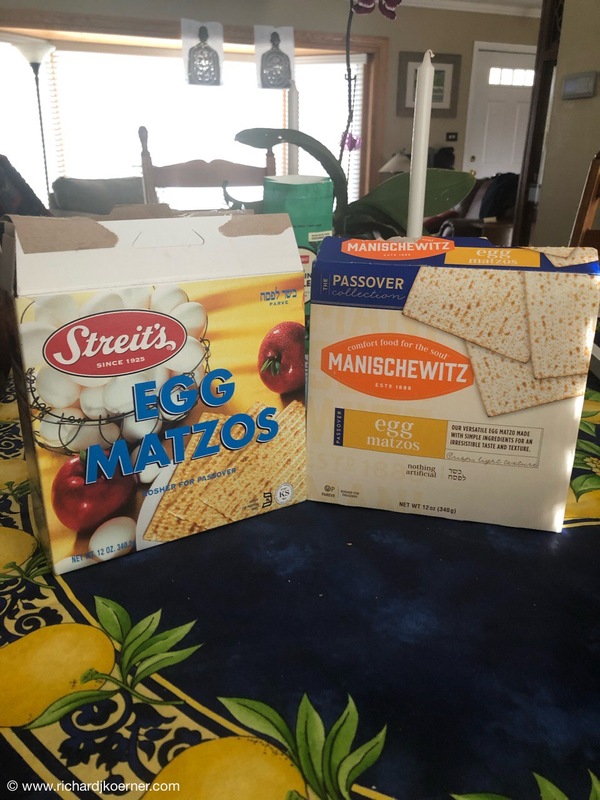 My latest issue with Passover Egg Matzoh is that it seems that Manischewitz changed its recipe. That explains why I picked up some Streit’s and find it even better. This entry was posted in Life in general, matzoh, Thoughts and philosophy. Bookmark the permalink.